At Madrona Dental Care, Dr. Gray and his team will always listen to your chief concern. It is key to meeting your expectations, and it is central to our philosophy of care. 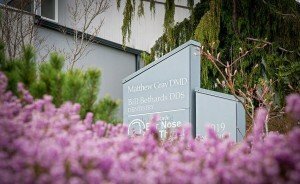 Before your first appointment, we will ask you to fill out our medical and dental history forms in order to help us explore the reasons for your current dental health status. Although it may not be obvious at first glance, every question is important. Your answers will help us understand the causes, whether good or less than ideal, for evaluating your risk for disease and your long term prognosis for dental health. We pledge to help you understand all of your options so you can best decide what choices you want to make about care. The type of treatment you decide upon will always be respected and supported by our team. Your experience at your new patient exam may be a little different than what you are used to. We put a very strong emphasis on listening to your concerns. You will also notice a very thorough evaluation of the medical and dental history you previously filled out in the New Patient Forms. In the very near future, these new diagnostic protocols will be combined with a soon-to-be released computer program that will compile comprehensive reports for us. These reports will create a highly personalized assessment of your current risk for dental disease. They will also include an overview of your options for current and future treatment needs. Our objective is to partner with you in developing a plan of treatment that is personalized for your needs. Together we will repair any current damage, design a plan to prevent it from happening again, and support you in your personal quest to have the healthiest mouth possible, now and in the future. Click Here to complete your new patient paperwork.